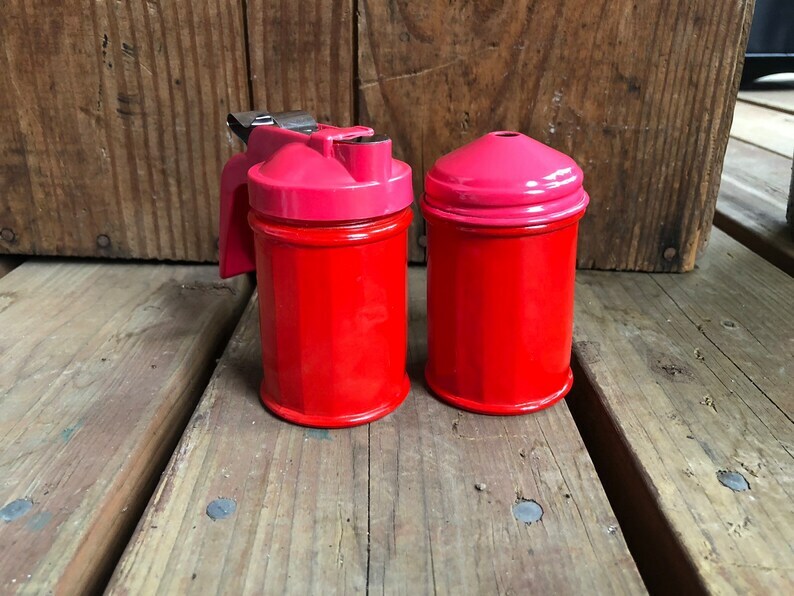 Vintage Table Sugar and Cream Set from GEMCO USA, Red glass, plastic top on the cream and painted metal top on the sugar jar. both are about 3" tall. I do not know if these came this way or were painted red by someone. very cute set if you're looking for nice vintage look to your kitchen or to serve your guests. Johnson Brothers Hanley STAFFORDSHIRE BOUQUET Large Oval Platter Vintage Stoneware 14"